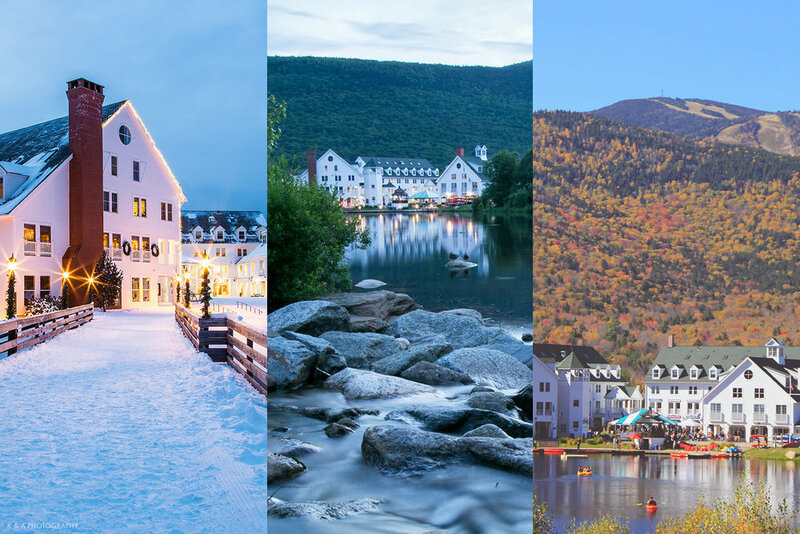 Town Square is the heart of Waterville Valley, NH, with classic New England colonial architecture, amenities, restaurants, boutiques, retailers, and more. Explore, hike, boat, bike, swim, and enjoy events for kids, families, couples, or groups. This quaint village is a summer adventure getaway and a winter wonderland, with self-contained, year-round services to make your vacation, road-trip, or day visit easy, affordable, fun, and memorable. 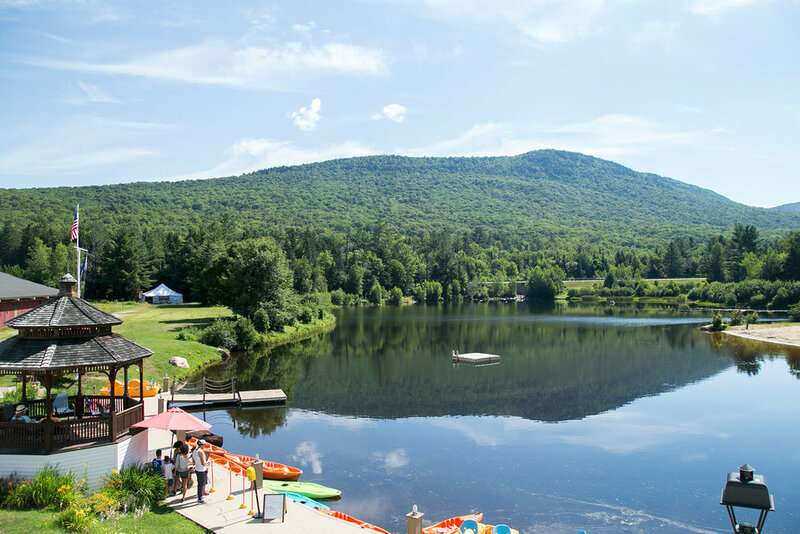 This quaint, New England village center is the heart of Waterville Valley, NH. Located on the valley floor, surrounded on all sides by 4,000 foot peaks, the classic alpine square boasts views of Mt. Tecumseh ski trails and overlooks the beautiful Corcoran Pond. A hub of summer events, visitors, locals, and staff gather for live music on the Gazebo Stage, food festivals, and outdoor activities for all ages. Pedal boats, kayaks, and stand up paddle boards can be rented right from the dock or head over to the beach to stick your toes in the sand or watch an outdoor movie. Borrow a road or mountain bike from the Adventure Center to explore the valley, or set up camp with your open containers at a nearby picnic table. Shops and restaurants surround the square with lodging available on the upper level, boasting some of the best views in town. When flakes start to fall come Winter, Town Square transforms into a Winter Wonderland, with a twinkling tree, cozy outdoor fire pit, Nordic activities and ice skating. The best part? A shuttle bus will take you anywhere in the valley or up to the slopes for free so you can experience everything Waterville Valley Resort has to offer! Town Square Condominiums are located in the center of Town Square on the upper level, steps away from events, music, dining, shopping, and activities. Relax in spacious, fully-equipped, three-bedroom condos that sleep up to eight. With enough space for all of your winter skiing equipment or summer fishing gear, this centrally-located lodging offers free shuttle access, a Freedom Pass to enjoy activities, and some of the best views of the surrounding White Mountains. Stroll through Town Square and discover a quaint boutique, a cozy toy and book store, plenty of sporting equipment and retail, and Waterville brand apparel. Need to refuel or relax? Enjoy the decadent cafe, authentic Mexican cuisine, pub fare, or pack your own picnic at the Mercantile, crack open a cold one, and dine with your toes in the sand. Whether you want to relax, play, or adventure, there are always plenty of things to do. Town Square is the home of the Adventure Center, offering summer mountain and road bike rentals and winter nordic, lessons, grooming, and trail information. In the summer you can pick up a hiking map, rent a kayak, groove to a live outdoor concert, or just relax on the beach. Winter is the season of marshmallow toasting, cross country skiing, and ice skating. Go for a stroll around the town loop or spend a whole weekend hiking 4,000-footers. Spend your days sweating, sunning, swimming or skiing surrounded by views, amenities, eateries, and informative staff who are ready to help make your visit exceptional. The center for lodging, dining, and playing in the valley, Town Square is a place for the community to gather. In the summer, the square plays host to food and chocolate festivals, live bands rock out on the Gazebo Stage, and vintage cars, storytellers, and artisans take over weekends throughout July and August. Flags fly high during the Fourth of July celebrations spanning 4 days, including a family carnival, movie on the beach, parade, and fireworks. Holiday weekends bring festivities and activities for kids, and every Sunday Morning the Squam Lakes Science Center bring their furry, scaley, and spikey friends to town for wildlife encounter presentations. The winter offers no shortage of pencil-in-worthy plans. 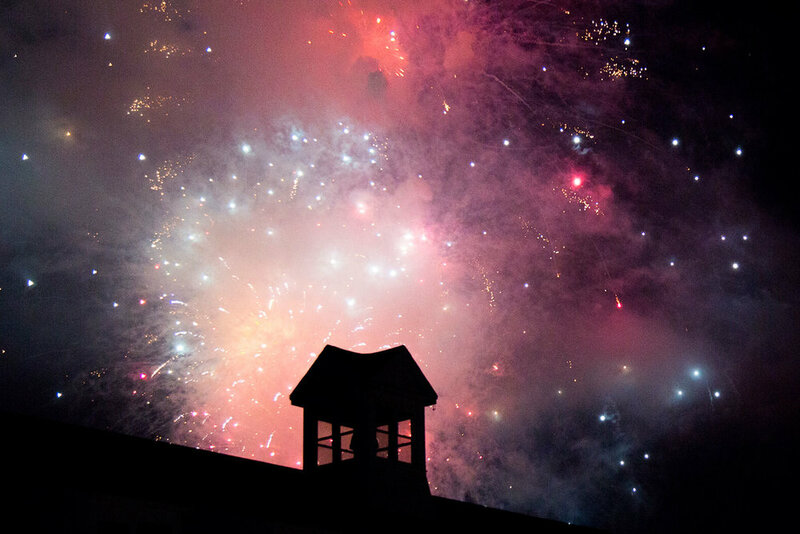 When the snow starts to pile up, enjoy weekly fireworks shows over Corcoran Pond, the annual holiday tree lighting, and meet Santa as he arrives by dogsled. Take the shuttle to and from the slopes for a day of skiing or riding and an evening of apres-ski fare and entertainment in our classic nordic village. Town Square is the center of amenities and activities in Waterville Valley. Shop, dine, play, relax, and stay, all in one place. The square is home to a post office, laundry services, ATM, realty office, grocery and package store, cafe and coffee shop, lodging front desk, shuttle stop, parking, and information booth. Everything you need for the best and easiest vacation or visit is within reach.